This is one of the most frustrating mistakes in golf – you are sitting in the middle of the fairway, and you know you can get on the green. But instead, you hit a fat shot that trickles down the fairway, you are now left with a tough pitch or chip, and you just gave up a shot. In tennis they would call this an unforced error. 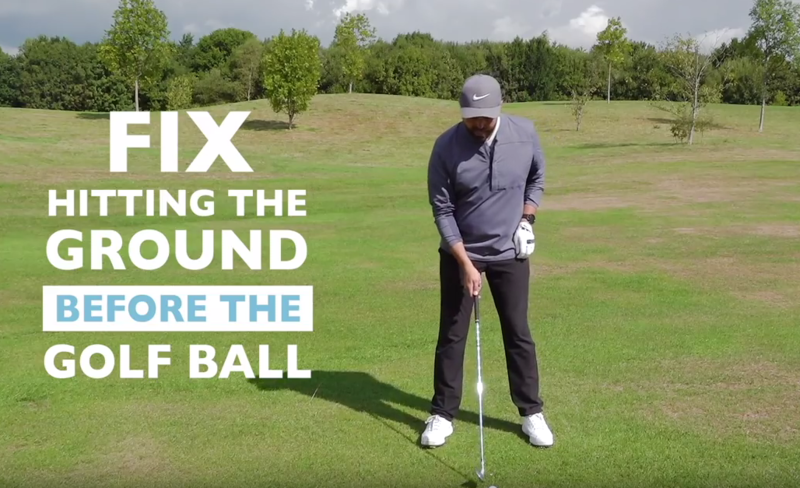 In this video Rick Shiels gives us 4 tips on how to not hit fat shots. Tip 2 – not swaying to the right on the backswing and Tip 3 – moving to the left on the downswing, are examples of how a good weight shift allows you to be more likely to hit the ball first, and then the grass. Next Post Which Way Should Your Elbows Face At Address?